COLLABMAS DAY 11: CHRISTMAS WISHLIST PART 2. Hey guys what is up?! Welcome to collabmas day 11!! We are so close, like can you feel the Christmas spirit? So last time I did a Christmas wishlist with Tea Lily but it was kind of a more fashionable Christmas wishlist. Today’s collaboration is with Fearlessnosi and together we are doing another wishlist but a more variable one with everything in it.Please do go and check out Fearlessnosi she’ll also have her wishlist up. Music is one of the things that keep me going at all times whether I’m sad or happy. I have been wishing for a speaker for a long time now and never been able to get it. I would like one that is actually portable but with a good quality so that I can take it everywhere that I go. However I should warn you, I love hearing the beat of a song so I might just blow the roof off. I’ve been loving these customized cases for a while now. I just love how you can incorporate your style and inspiration into your case, something that you see everyday and that you use everyday. 3. A makeup brush set. I am only starting off with makeup so I don’t really know much than what I have picked up from Youtube. So at the moment I don’t own any makeup brushes so I don’t mind getting any makeup brushes but I’d really love to get the whole shabang with all the different brushes. I am into making videos and taking pictures so I’dd love to get an actual camera to do those things. I recently started uploading on my YouTube channel and honestly it would be much better if i had a camera to actually take the videos with and be on A level with all the other youtubers. I recently just found out about the telefunken digital video camera tvc 240 which has 24 MP and I think is a pretty good camera to start ff with plus its only R1599 which I think is reasonable for a good quality camera. 5. LA girl setting spray. At the moment I own the Estee Lauder Double Wear foundation and if you know it then you know that it’s got such a matte finish. Okay so i’m not a fan of that. Actually I’d much rather prefer if I had a dewy fresh kind of face. So the main reason I’ve got this makeup setting spray on my wishlist is because I’m hoping to get a fresh face rather than a dry one (matte). I’ve also added this product to the list because I’ve heard so many good reviews about it and I’d actually love to try it. 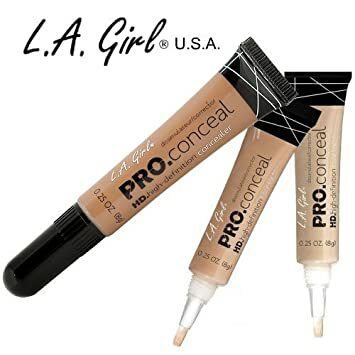 I’ve Also heard that it is actually one of the of the best concealers even though it is drugstore and sold at cheap price. So that would be amazing if I actually got one to try. I don’t think I need to conceal anything but I’d still love to have one. 7. Bronzer/ highlighter that goes with my skin tone. Okay so I’ve always had problems with bronzers/highlighters. In my opinion it is really much harder to to get the right shade if you’re very dark so I’ve been really weary about it. However I’d still love one because I love the way these girls are glowing. Okay so since I was young I’ve always loved the bath gift sets that they always had at Dischem and still today no one has felt the need to gift me one so it is still something I wish to get. I just love the way they are setted out and the scents, guys I literally die! So I’d definitely love to get one of these. Yuup guys so that is my wishlist part 2. Make sure to go and read the first one because I still love the things listed there. Also do go and check out Fearlessnosi’ wishlist I’ve got a feeling that its going to be bomb and add her on instagram here. If you’re interested in collaborating on any type of post please add me on any social media or email me and we can definitely talk about what to collaborate on. Honestly collaboratinmg is so much fun, so if you’re interested hala at me. I promise you I’m agreeing to everyone. → COLLABMAS DAY 12 : DENIM LOOK. ← COLLABMAS DAY 10 : CHOCOLATE MUFFIN RECIPE. The bronzer though🙌🙌🙌… I need it in my life. The struggle is real trying to find the right highlighter at a reasonable price. The camera is so affordable I need this in my life, my current YouTube cam just isn’t upto scratch. I hope this time next year you will have received at least 79% of you wish list. Lol haha all fingers crossed. Atleast you’ve got a YouTube cam lol I’m still using my phone #thestruggleisreal. Girl I am still on the search for that highlighter, hopefully I get one.